Dirty Blue return with another installment of solid dance floor house music. 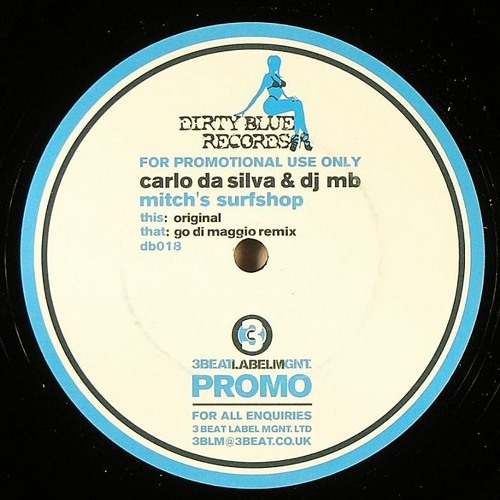 In true Fabric style, Carlo Da Silva & DJ MB turn in a wicked bass heavy chugger with chunky percussion and wicked drops. Very cool and perfect for either prog warm ups, or for chugging mid set tech house sets. Flipped by a very cool remix from Go DiMaggio, who takes things in a slightly bigger vein though still in keeping with the minimal vibe of the original.